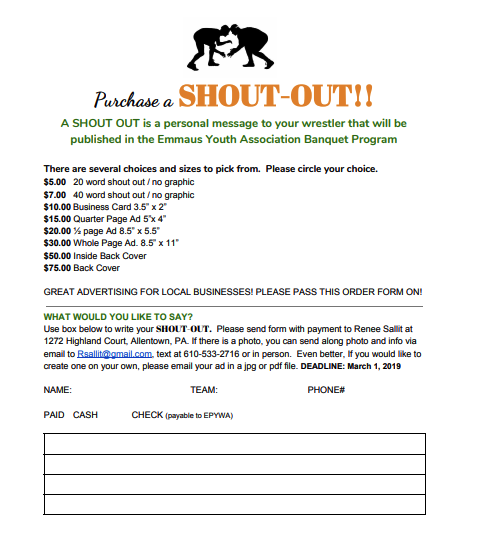 Welcome to the Emmaus Youth Wrestling Association Homepage! 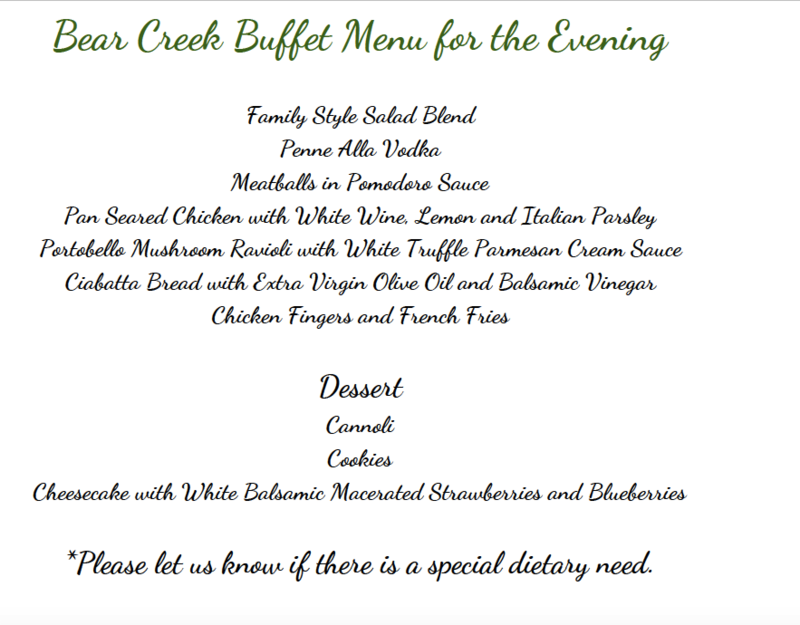 Join us for this year's annual Emmaus Youth Wrestling Association Banquet! Click here to see the registration form! Click here to submit a shout-out! 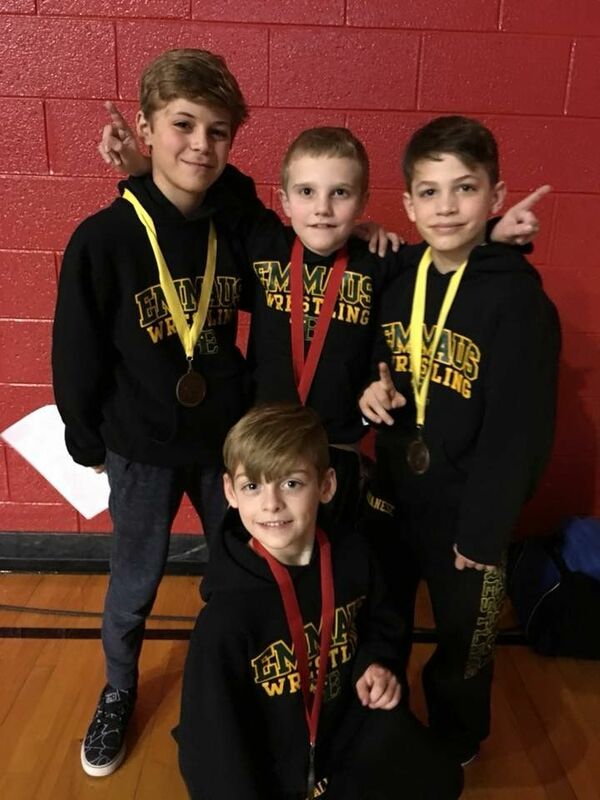 Emmaus Youth Wrestling Association is available to ALL residents of the entire East Penn School District! 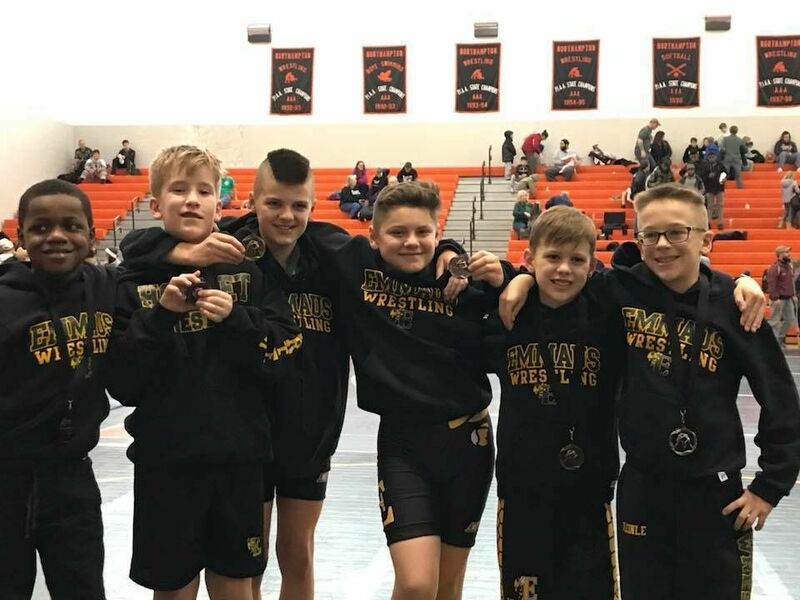 Wrestlers participate in the sixth-grade-and-under Valley Elementary Wrestling League (http://www.vewl.org/). 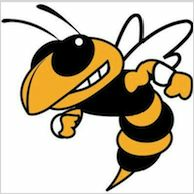 We will have two Varsity and two Junior Varsity squads for league competition as well as an Intramural Novice Program. There are 34 Varsity (V) and 34 Junior Varsity (JV) positions available. Exhibition matches will be open to all wrestlers (no 17 position limit) who are not on the V or JV team. Practice will begin in early November with matches starting in early December and lasting through January. Typically, V and JV matches are on Sunday’s and Exhibition matches are on Friday nights.